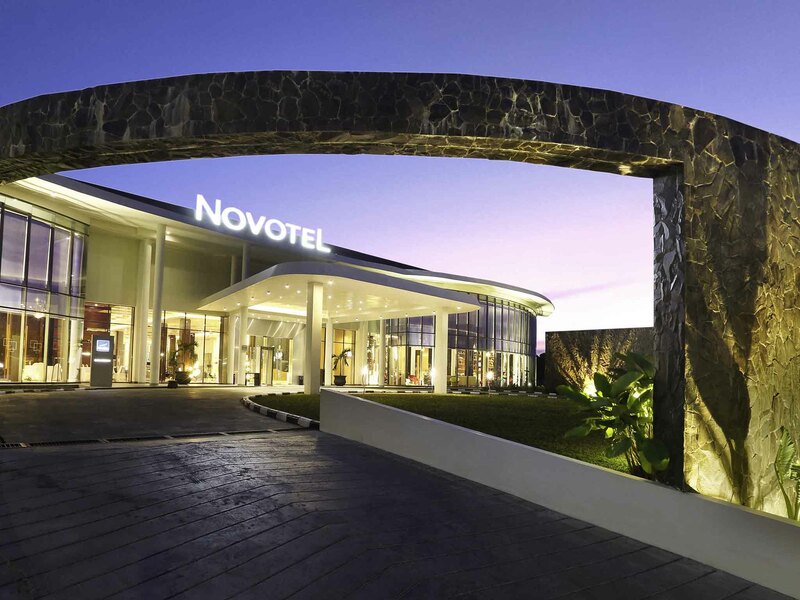 Set your bags down in 4-star comfort at family-friendly Novotel Banjarmasin Airport hotel. Relax in your quiet contemporary room while the kids have fun on the lobby computer games. Re-energise with a workout in the well-equipped fitness centre and a dip in the courtyard pool at Novotel. The hotel is surrounded by tourist attractions like Martapura Diamond Market, Lok Baintan Floating Market, also beautiful recreation places such as Riam Loksado, Batakan Beach and Samber Gelap Island as hidden paradise of South Kalimantan . Located at the lobby level, the hotel's meeting room come with high ceilings and is ideal for business meetings, family reunions and private dining groups of up to 450 guests.Located at the lobby level, the hotel's meeting room come with high ceilings and is ideal for business meetings, family reunions and private dining groups of up to 90 guests. An unforgettable experience ! Large, well-designed, the suite includes two bedrooms and a bathroom. It offers unbeatable facilites: two flat screen TV's, bathrobes and unlimited access to our fitness center. Up to 2 adults and 2 children. Enjoy modern decor and ergonomic comfort : A modern spacious room with King bed, en suite bath/shower, sofa bed, ergonomic work area, 2" LCD TV with internet access, broadband connection, hair dryer, minibar, tea/coffee. Up to 2 adults and 2 children. Square Kitchen provides the perfect balance of authentic traditional and international cuisine. Escape from the stresses of the busy city life and indulge in our fresh and relaxing ambience. Well, Everything's fine. But i think it's time for u to change your bed sheets. Your bed sheets dull, turn yellow and many stain on it. Tolong kamar mandi penuh dengan jamur dari shower curtain smpai ke dindingnya. I was staying at 2055. Housekeeping staffs need more training and you should use better products to clean the bathrooms properly. I have stayed at this hotel several times before and last Room rate was expensive, compared to previous one with same room type. Maybe I was wrong to chose the day for stay.Lol.. anyway thanks Novotel nothing complain except room rate. Very bad wifi internet can't use at all. Bad experience stay at this hotel, room dirty and smelly. Apart from above, Restaurant served food too slow during dinner time.